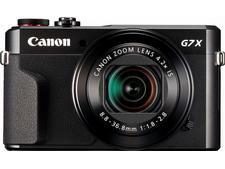 How To Buy The Best Compact Camera - Which? 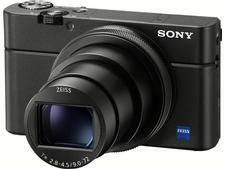 Unsure which compact camera to buy? Our expert advice will help you get the best photo quality above and beyond any phone camera. If you want a camera that is small and light, but with better image quality than a phone camera, a compact camera is for you. With a fixed lens and lots of easy-to-use automated options, these prove you don’t need a DSLR camera to get great-quality photos and video. The compact camera market has changed a lot over the past couple of years, with smartphones eating up a large part of it. As a result, camera manufacturers have had to up their game by offering something extra, whether that is a larger sensor, a large zoom range, high-quality video recording, or something else. That said, the best compacts have simple controls and great handling, and produce first-class photos and video. The worst suffer from sub-standard build quality, poor handling or a clunky settings interface. Read on, or watch our video above, to find out what you need to consider to make the best choice. 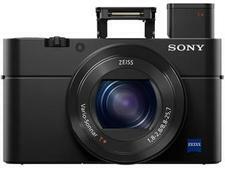 To discover our top recommended models, visit our Best Buy compact cameras. What type of compact camera should you buy? The first thing to think about when selecting a compact camera is how you intend to use it. This will help determine whether you need a camera with simple point-and-shoot capabilities or one with manual exposure controls to help you get the best photos in a variety of conditions. As you would expect, the simpler cameras are significantly cheaper than those that allow for more creative freedom. If you want a camera with more advanced controls check for Tv, Av, or M shooting modes. You can find out more about what these do in our DSLR camera settings explained guide. How much should you spend on a compact camera? Compact camera prices range from £50 for a cheap point-and-shoot to around £500 for a top-of-the-line model. The average price for a Best Buy compact is £350, but you can still find a top-rated compact model for around £200. What do you get with a more expensive compact? A longer zoom range (say 30x zoom), 4K video recording, manual exposure controls or a built-in electronic viewfinder. Some even include an LCD touchscreen display, which makes it easier to navigate menus or preview images. What makes a good compact camera? Megapixels This has a bearing on image quality but a higher megapixel count doesn't necessarily guarantee you'll get the best results. A good rule of thumb is that the higher the megapixel number, the higher the resolution, which provides the best detail and clarity when printing large photos. Most cheap digital cameras offer at least 14Mp, but some of the latest models go as high as 20Mp. Image stabilisation A very useful feature that helps maintain image sharpness at slower shutter speeds that would be typically lost via camera shake. Most compact cameras have built-in image stabilisation, so all you need to worry about is capturing that impromptu shot, with the photo details clear and blur-free. Optical zoom Some compact cameras offer a short zoom lens, with a zoom range of 5x or 7x, which allows you to take decent wide-angle or telephoto shots and anything else in between. But cameras with a larger zoom range (say 30x or 40x) are best suited for zeroing in on distant landmarks, such as a lighthouse. LCD display A rear LCD display allows you to see exactly what you’re shooting on-screen, as well as review photos or video you’ve already taken. Typically they’re in a fixed position at the rear of the camera, but some models offer a tilting screen, which is extremely useful for shooting self-portraits or subjects at an unusual angle (for example, that are low to the ground). Viewfinder If you’re taking a lot of photos outdoors in bright sunlight, you may want to consider a compact camera with a viewfinder. The viewfinder allows you to see more clearly than when you use the screen as what you see isn't affected by glare or reflections. Not many compact cameras have a viewfinder due to their small size, but they are available on some models. Video recording Full-HD (1080p) video recording is pretty much the norm for compacts these days, and it’s rare to see a camera offering less. However, there are some models that take this a step further by supporting 4K video recording. This means the recorded video resolution is four times larger than Full HD and should give finer detail. Wireless connectivity Wireless connectivity used to be a rare treat in cameras, but now most compact cameras come with wi-fi, Bluetooth, near-field communication (NFC) or all three for transferring photos and videos wirelessly to your smartphone or tablet. The best compacts also come with GPS, which is especially handy when travelling as it helps you remember where shots were taken. Creative options Some of the latest models are packed with extra options to help you get the best from your camera. Heading off on a holiday? Look for a compact that has a panoramic mode, which allows you to capture impressive landscapes. Want to spruce up the look of your photos? You can use creative filters to add distinctive styles, as seen in the phone camera app, Instagram.